One of my fab D.C. readers led me to the adorableness that is Young House Love. 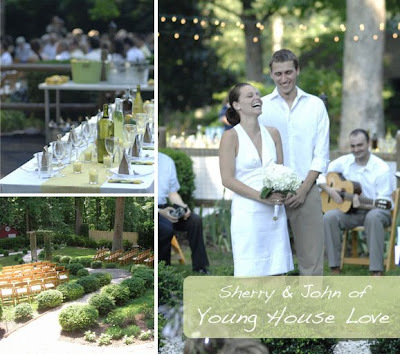 The brainchild of Richmond-based Sherry and John Petersik, YHL has garnered an insane following of crafty, DIYers and design enthusiasts. No seriously. I've seen posts with more than 1000 comments. I know! Crazy, right?! Buuut it's rightly deserved. There is pretty much nothing the newly expectant couple can't do (or won't try). I fell in love once I saw their charming backyard wedding and haven't looked back since (see photos above). I wonder what part of their genius will get you hooked? 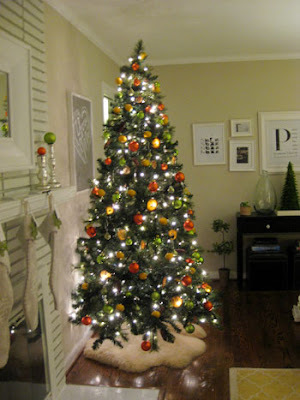 we get our tree up and dressed. This year it took a few weeks between getting it up and getting it decorated but it's always so pretty when we're done that we plug it in whenever we're at home - even in the mornings before work. "Dominick The Donkey!" My mom's super Italian and we always played it on repeat while we decorated the tree. The funny thing is that John had never heard of the song until he met me, but now when they occasionally play it on the radio, he smiles and says they're playing "our song." at John's parents' beach house. We know it sounds crazy but it becomes sort of a sleepy little winter home in the off season so we love that no one else is around. 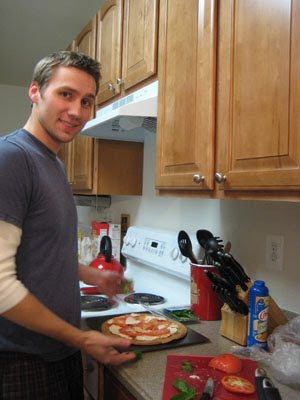 We just hole up and make homemade pizza and play board games. It's nice to "shut off" every once in a while, especially when you're glued to the computer 24/7 like we are most days. our tree decorating post this year. 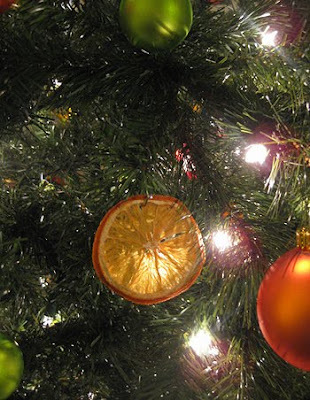 We had so much fun making ornaments out of real citrus fruit and drying them in the oven. We love a good DIY project, and it doesn't get much cheaper (or tastier) that that. 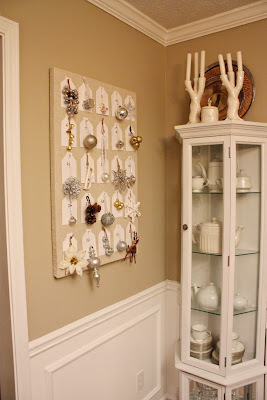 this amazing advent calendar project by Katie over at All Bower Power. Words can't describe how much I love it! for a happy and healthy baby in May. It's so exciting to be expectant parents and we love all of the big moments that we have to look forward to: John feeling our little bean kick for the first time, finding out if it's a boy or a girl, actually meeting the little one in the spring... we just can't wait! 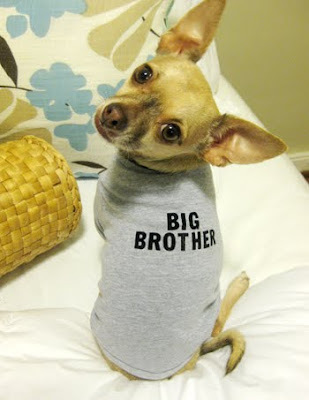 And we know our pooch Burger will make an excellent four-legged big brother. Because my blogfriends are SO awesome, I have more than 10 surveys to share with you over these ten days. So don't think I'm going anywhere this weekend, and stay tuned because today is a double feature. Well you can find out if you check back at 3pm EST. How do I know this? Because I'm that good. And that's when I have it scheduled to post. I like Burger and his shirt. And yes, the suspense is killing me too!!! Wahoo! Thanks so much for the kind words and the holiday fun. We can't wait to see who else you have in the pipeline! Love Young House Love! And Burger too! awesome survey! and THANK you for having the playlist on the right column. 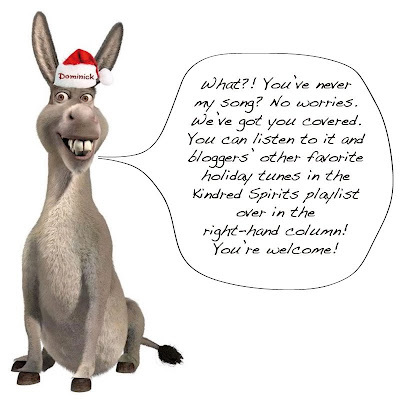 the dominick the italian christmas donkey made my night!